Anthony Smith has sent Volkan Oezdemir a timely reminder of how many first round finishes he has. 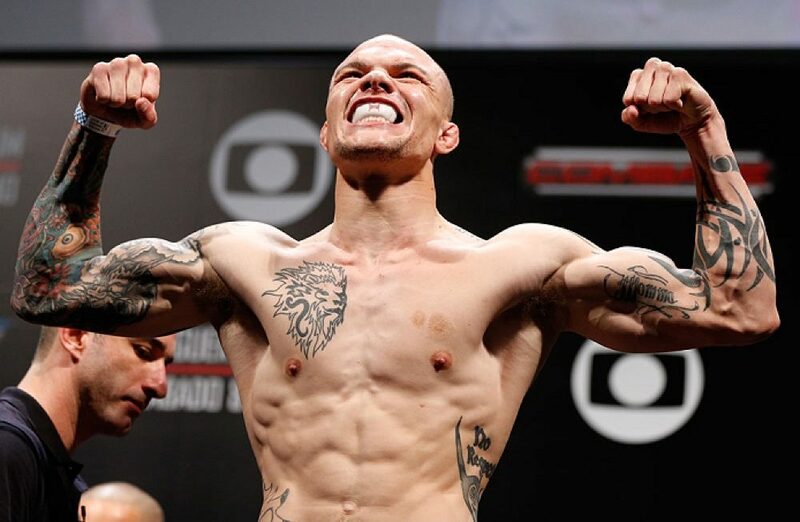 Anthony Smith is riding a two fight win streak and will be looking to make it three wins out of four when he faces Volkan Oezdemir at UFC Fight Night 138 on October 27. Earlier this week, Smith offered to step in and replace Glover Teixeira who pulled out of his fight with Jimi Manuwa set for UFC Fight Night 137 on September 22. With that now looking unlikely, Smith’s attention has been turned back to Oezdemir and speaking to Submission Radio this week, Smith spoke about his expectations for the fight and how he thinks the Swiss fighters’ nickname isn’t deserved. “No, I don’t imagine it’s gonna go to a decision at all. And I kind of did feel bad for him for his joke as well. I think he’s kind of in the same position as a lot of those media guys. Like, if you really go back, go look at my record. I mean, I’ve probably got over 20 first-round finishes. “He’s got this ‘no time’ gimmick but I’m the original ‘no time’. I mean, if that’s the way you want to look at it. I mean, I’ve got more first-round finishes than he’s got fights total. So, I don’t imagine it’s going to go to a decision. I’ve seen a couple of the highlights of the DC fight, I think it will be similar to that. I don’t think he likes pressure that much, and like I said, I don’t know how to fight any other way, it’s just go forward and punch people in the face”. With two first round finishes against Rashad Evans and Mauricio Rua now in a row, Smith is expecting similar fireworks when he faces Oezdemir in October.